The Prevention Support Clinic at St Vincent's will provide PrEP prescriptions, STI screening and advice for those concerned about HIV prevention. News 9 April, 2019 . Written by Cassia Gaden Gilmartin. 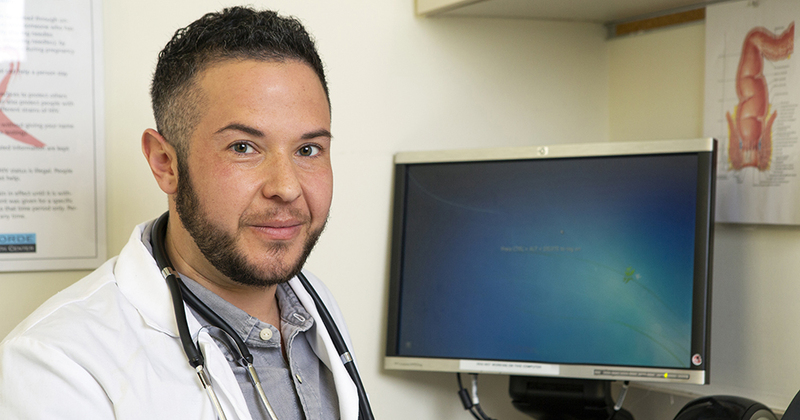 St Vincent’s University Hospital has opened a Prevention Support Clinic, providing a new avenue for those seeking PrEP prescriptions or advice on HIV prevention. Those in need of an appointment can self-refer to the clinic by filling out a referral request form, which includes contact details along with questions on sexual activity and medical history, and sending the completed form to Prevention Support Clinic, Department of Infectious Diseases, St Vincent’s University Hospital, Elm Park, Dublin 4. Appointments will be assigned to fit the needs of each individual, as determined by the answers given. Each new patient will be asked to visit the hospital for a pre-clinic screening visit, at which testing will be carried out for chlamydia, gonorrhoea, hepatitis and syphilis. When this visit is completed, a follow-up appointment will be offered – usually two weeks later – with a doctor in the Prevention Support Clinic. The consultation at the clinic will include education on all forms of HIV prevention including PrEP, PEP, condoms and regular STI screening. Prescriptions for PrEP will be provided where suitable. Follow-up visits will also be scheduled if needed. The St Vincent’s clinic provides a valuable new option for those looking for a PrEP prescription or expert advice on HIV prevention, joining the limited number of HIV/ STI testing clinics and PrEP monitoring clinics at which prescriptions and information can be obtained. A full list of these clinics is available from HIV Ireland. PrEP prescriptions can also be obtained from your GP, although some GPs may be unaware of PrEP and the tests that should be carried out before giving a prescription. Last year, 530 new HIV cases were diagnosed in Ireland – a massive increase in comparison to the 339 cases of 2013. With other STIs also on the rise, the opening of a new prevention support service is welcome news. 9 April, 2019 . Written by Cassia Gaden Gilmartin.